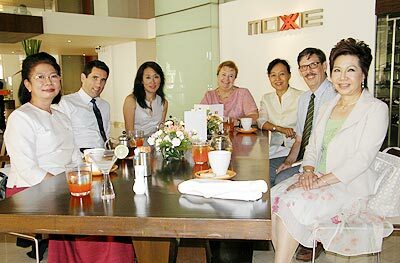 Mom Luang Preeyapun Sridhavat, Honorary Consul of Peru, shown hosting a Peruvian lunch at Moxie’s, together with guests (Left-Right): Achara Sa-nguanpong, Michael Morrow, the US Consul General with his wife Shannon, Margaret Bhadungzong and Thomas Baude, the French Honorary Consul, with his wife Chamaiphan. Escaping from the ‘water fun’ at Ginger Kafe. 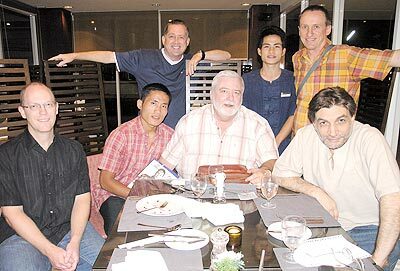 Patrons enjoy the Wednesday Carvery Night buffet at the Nimnan Bar & Grill, Kantary Hills. 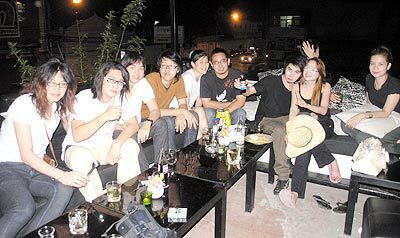 Soho Bar was the place to be during Songkran last week. 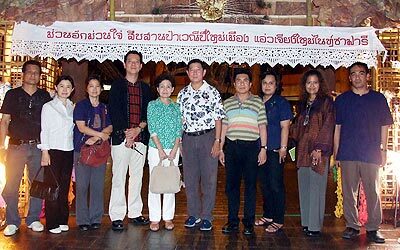 Tawatchai (2nd left) with colleagues from C.M. Tours attend a ‘Thank You’ party at Le Crystal’s Steak House. 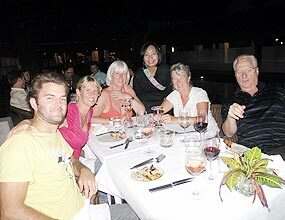 Hostess Naphat Nutsati (3rd right) pictured with guests at the Tamarind Village Hotel’s Wine and BBQ Dinner. A relaxing evening at St Germaine Du Pres after a fun day out splashing water. 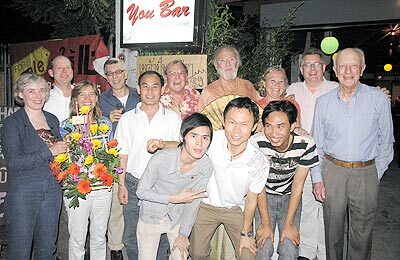 Guests attend the opening of the ‘You Bar’ on Phrakot Road. 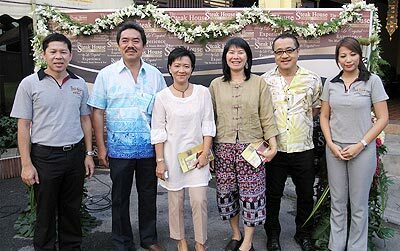 Chalermthai Yanaphirat, deputy director-general of the Land Transport Department (centre), is welcomed on his Songkran visit to Chiang Mai’s Night Safari by Phanchak Bulsataporn, director of the Business, Marketing and Public Relations office and Phanthip Lertpradit, head of the Night Safari’s PR Management Department. The younger generation enjoy the DJ Night at the Chedi Hotel.